Let your children spread their wings at summer camp—and get a little vacation for yourself, too. These Northern Michigan summer camps embrace a love of the outdoors and the arts. 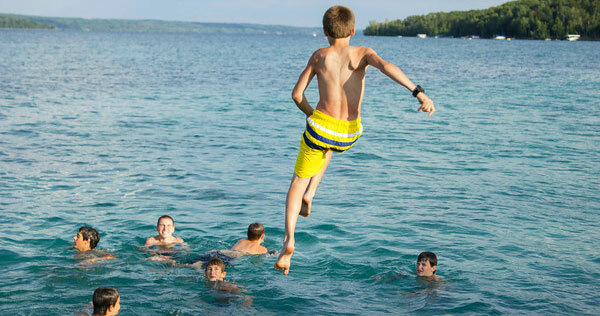 With a girl’s camp located on Lake Arbutus and the boys stationed on 600 acres adjacent to Torch Lake, these YMCA-operated camps have over a century of experience to draw on to make for superb camping experiences. These rustic camps are technology-free—meaning your kids can appreciate a life without Instagram and OnDemand. Featuring the rigmarole of activities—high ropes, swimming (even SCUBA lessons for the lads), sports (equestrian for the lasses), high ropes courses and wilderness lessons—Hayo-Went-Ha pulls out all the stops for a fun and educational summer camp experience. Located on 1,600 acres in the Manistee National Forest and on Little Blue Lake, the Blue Lake Fine Arts Camp has offered art instruction for students of music and the fine arts for nearly 50 years. Open to students from the 5th grade through high school, with programs ideal for students who are relatively new to their instruments and extended stay-aways. Blue Lake also has adult programs offering several days of arts activity and camp fun in a rustic wilderness setting. Since 1925, Camp Daggett has been a retreat for campers ages 7–14 looking to enjoy Northern Michigan’s great outdoors. 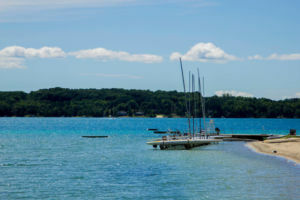 With 1,400 feet on Walloon Lake near Petoskey, the normal day is one of sailing, swimming, climbing … in a word, the good stuff, all jammed into eight one-week coed camping sessions. Located six miles south of Frankfort, Camp Lookout is located on a wooded, hilly peninsula bounded by Lower Herring Lake and Lake Michigan. The adventure begins right away when the only way to get to camp is by boat! Activities include sailing, kayaking, canoeing, horseback riding, mountain biking, art projects, and may include things like creating a large outdoor sculpture, organizing a theme meal, working on a creative writing project, and more. Evenings are filled with games such as Capture the Flag, Windego Island, talent night, fantasy night, or a campfire. Discover the Walden Way near Cheboygan! At Camp Walden, your kids will take part in the camp talent show, windsurfing and other water sports, hike through 150 acres of woods near the spring-fed Long Lake and chow down on Walden’s famous cinnamon toast. Your kids can participate in arts and crafts, horseback riding, join the camp band and more. Camp Quality is a nonprofit organization dedicated to creating a medically-supervised camp experience for children with cancer at no cost to the family. 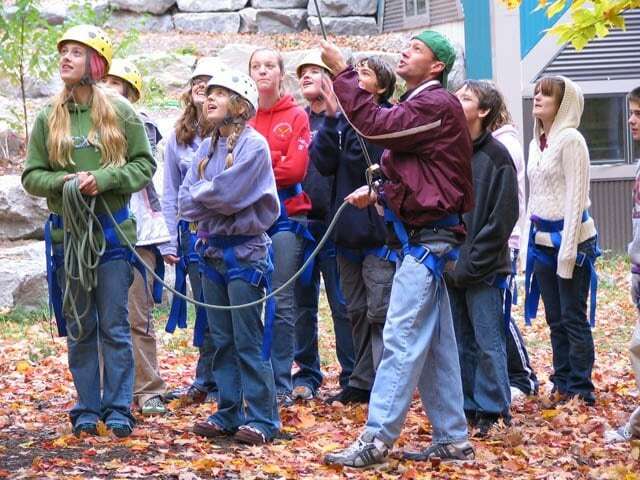 Located in Boyne City, the camp offers year-round programs such as archery, arts and crafts, rock climbing, obstacle courses, and plenty more. While at camp, children foster new friendships, have a chance to try new activities, and get to feel like a kid again. Check out this video of smiles at camp! This camp experience immerses kids in outdoor adventures including backpacking on Isle Royale, an Ontario River Wilds trip, backpacking the Manitou Islands and more. Crystalaire Adventures offers the chance for teens to step away from it all, test themselves, and bond with their group of adventurers. Whether your child is a focused prodigy or simply wants to learn more about art—and discover themselves—Interlochen Arts Camp provides art-focused summer stay programs for kids in grades 3–12. While renowned as a mecca for classical music and theater studies, Interlochen also offers world-class programs for aspiring photographers and visual artists. Six different programs offer activities for campers entering 4th grade through 12th grade (graduating seniors welcome!). Activities include arts and crafts, a 175-foot waterslide, swimming before breakfast, chapel, night hikes (for older campers) a three-day rafting trip and more. The camp rests on Pyramid Point and is surrounded by Sleeping Bear Dunes National Lakeshore and 2,500 feet of beach frontage on Lake Michigan. Campers hike daily along nearby trails. Camp Leelanau for Boys and Camp Kohahna for Girls offers programs for young people enrolled in the Sunday Schools of Christian Science branch churches. Click the cover to read MyNorth’s free Traverse City Vacation Guide!